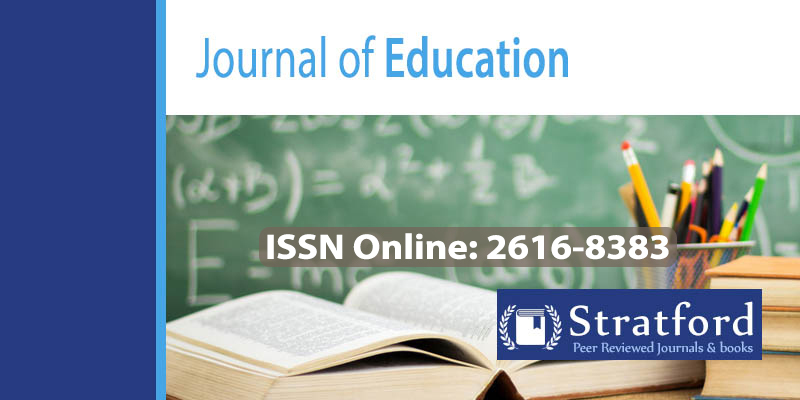 Journal of Education is peer reviewed by world’s best selling authors and is published by Stratford Peer reviewed journals and books globally. This journal covers the field of education, academics and educational related researches and/or works. It has hosted works for the best authors in this field. A full double-blind refereeing process is used that comprises of the following steps. A preliminary review for content and form is done by the Chief Editor, and a notification of the adequacy and acceptability is communicated to the author immediately. Papers are accepted or rejected at this point. Upon acceptance, the author is requested to pay the publication fee so that a formal acceptance letter is issued. Once the formal acceptance letter is issued, the paper is sent to 2 reviewers for review. The reviewers’ recommendations determine the extent of changes that are required. For papers which require changes, Internal editors will follow up to ensure that these are effected. Upon publication, the authors will be issued with links to their publication, a pdf copy of the publication and a publication certificate. Authors requiring hard-copy print of the issue in which their paper appears can make orders and this will be processed on demand.